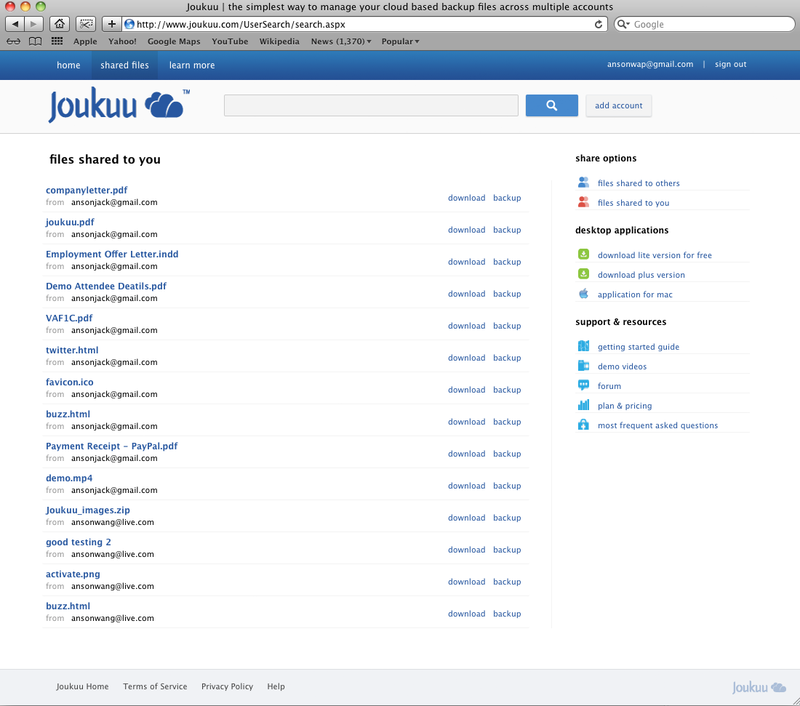 After adding accounts, Joukuu automatically crawls and indexes all files and lets you handle them through a clean UI. 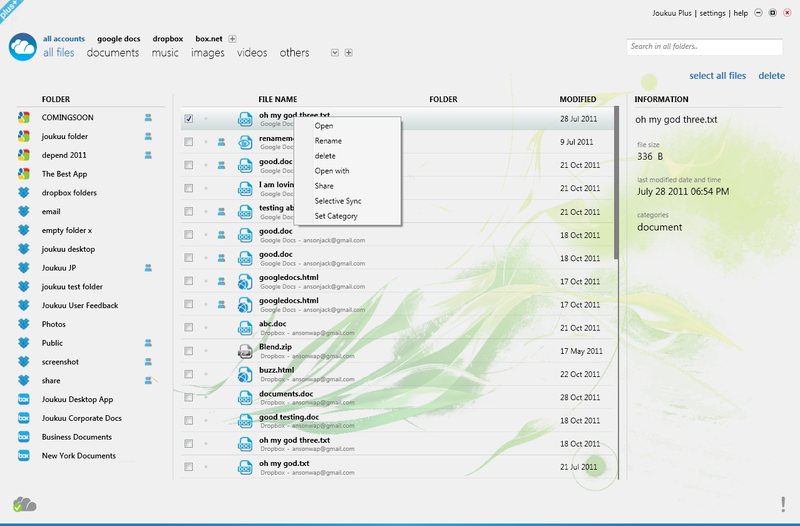 You can access all files (and folders) directly through Joukuu Web, share selected items with others across different cloud service providers, or add/delete/duplicate/rename any files and folders. All modifications get synced back to the cloud service in question. 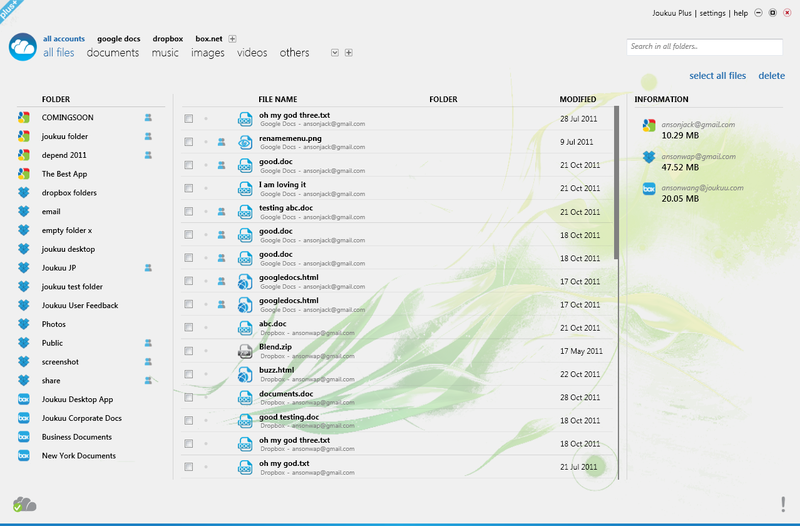 What’s interesting is that it’s possible to use Joukuu to search for specific files or folders across accounts plus share and collaborate on documents with others across different service providers. 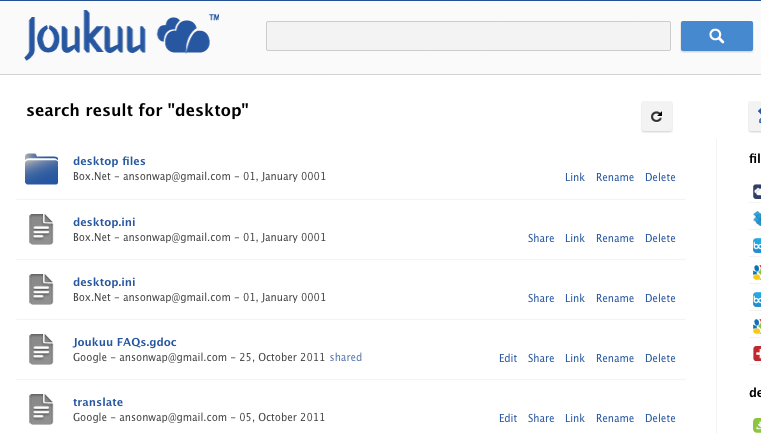 Joukuu is fully integrated with Google Docs, meaning you can share or collaborate on files with anyone across providers, without uploading any files to Google Docs – everything is done within the backup account you’re using. Another feature is that you can set up categories for specific items. For example, if you’d like to centralize pictures scattered across the various cloud service accounts, you can create a “photos” category and drag and drop all items into that category on Joukuu. 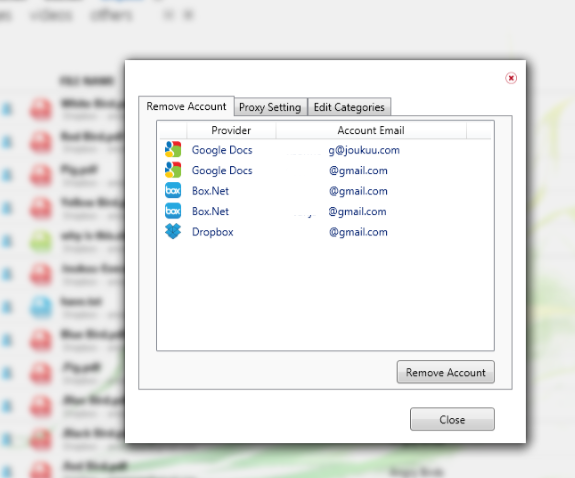 However, this is only possible with the desktop application at this point, with Joukuu offering a paid version called Plus (price: $29.99) and a free Lite version. If you’re a Mac user (or don’t want to download the client), I’d suggest giving the web version a spin (which just launched for free for one account and $40 yearly for multiple accounts/50% discount for the next ten days). Click here for a comparison of the features and prices of the different versions. Joukuu currently plans applications for smartphones and will also support more services (Sugarsync, Huddle, Skydrive etc.) in the future.